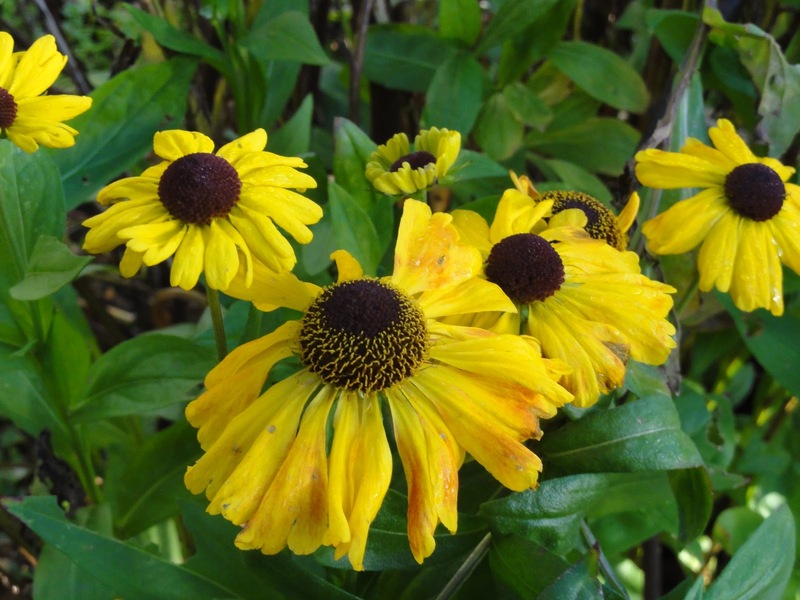 This is the final post in this series of blogs on the front garden. I started the series in January and am now almost full circle. It's been interesting experience photographing and blogging about the front garden throughout the year and seeing the changes month by month. Plant some perennial kale in the back half (closer to house) of the central bed. This will yield food and give winter interest. Obtain yield from strawberries, broad beans, garlic and tomatoes, plus ongoing yields from herbs (sage and rosemary). 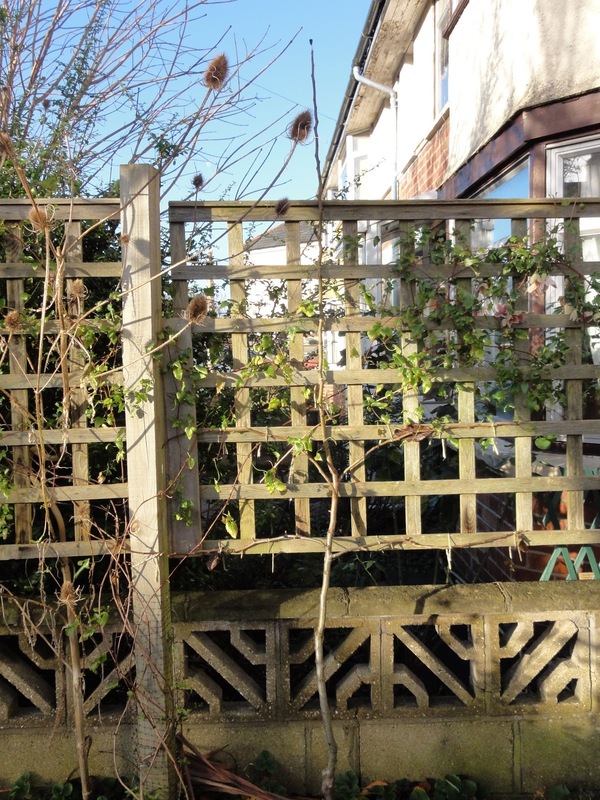 Investigate costs of removing prunus, concrete fence, and practicalities of putting in hazel nut hedge. Continue training the pear tree espaliers. Photograph the space at the beginning of each month and track how it changes over the year. 1. 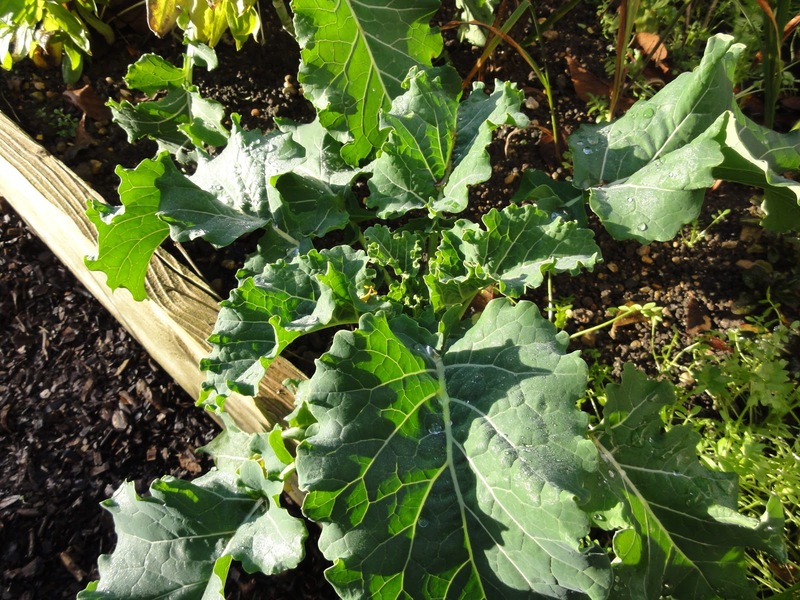 Perennial Kale: I did plant some perennial kale, Daubenton, which I obtained from the Heritage Seed Library. The young plants didn't have it easy... I started them off well, planting the seeds in modules, then planting them out in April. The wet spring and then summer meant they got attacked by slugs. In August they picked up when we got a bit of sun (yay), then sadly went downhill in September when they were attacked by caterpillars of the white cabbage moth. I admit that I wasn't particularly diligent looking after the poor plants, ongoing back problems did rather limit my gardening. But by November they were making a come-back and are now looking quite healthy, if a little small (see November post for detail). I've not actually harvested the plants yet, as it is only now that the plants are established enough that I think I can start picking the leaves. So I cannot report on the taste yet. However, I can say I'm very impressed with their resilience to pests, and others how found this too, as Emma Cooper reported on her blog a little while ago. I can also report they look lovely in the sun and give the front garden some winter interest, so that's half a tick for this plan! The garlic did ok, but not as big as previous years, all that wet weather again. Overall, I'm happy with the yields. Given how little attention the front garden got I feel I did rather well for minimal effort. I still have kale to pick and the rosemary is a plant that just keeps on giving. 4. Training pear espaliers: tick! (see November). 5. Photographing and blogging about the space each month: I originally aimed to blog the 1st day of each month, but that proved to be a little tricksy. So I then went for 'start' of the month, which I figure can cover quite a few days. Some months I didn't make it at all. But I have blogged most months, so I'm happy with that. Not sure if anyone else is, but I am! So did I achieve what I set out to achieve at the start of the year? Well, I'm not sure it matters now. I'm actually quite pleased in general how the front garden has come along, I've got quite a few yields from it. Not just food yields, but through developing it I've met neighbours and had interesting conversations. 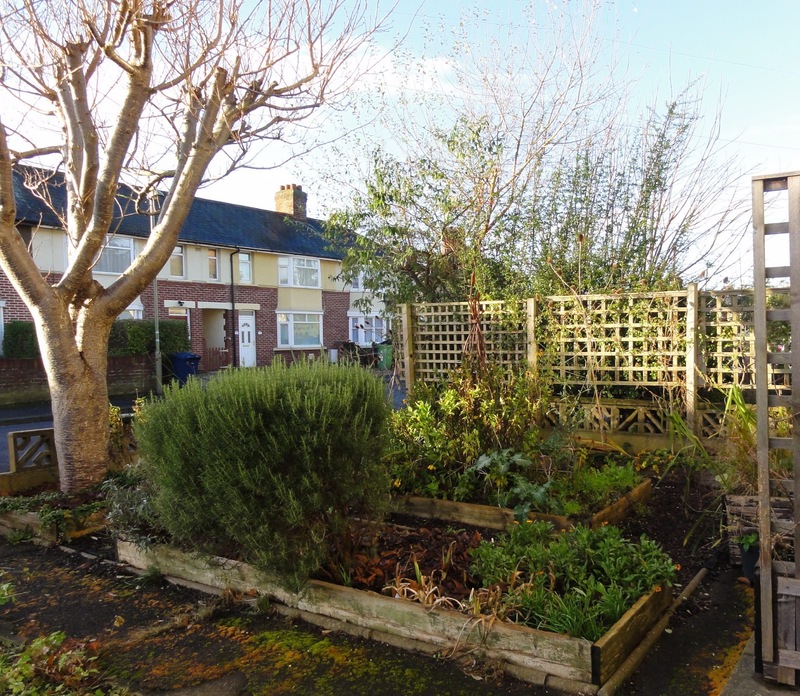 I've even noticed a couple of other people in my street and nearby have recently built some raised beds and are growing some veg in their front garden! 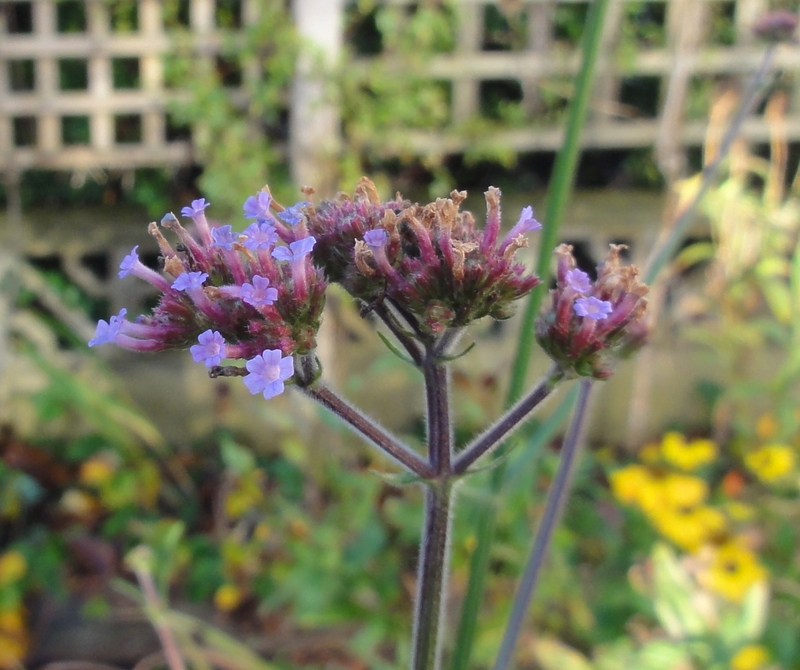 I've planted for wildlife as well and have been rewarded with visits from birds, butterflies and beneficial insects. 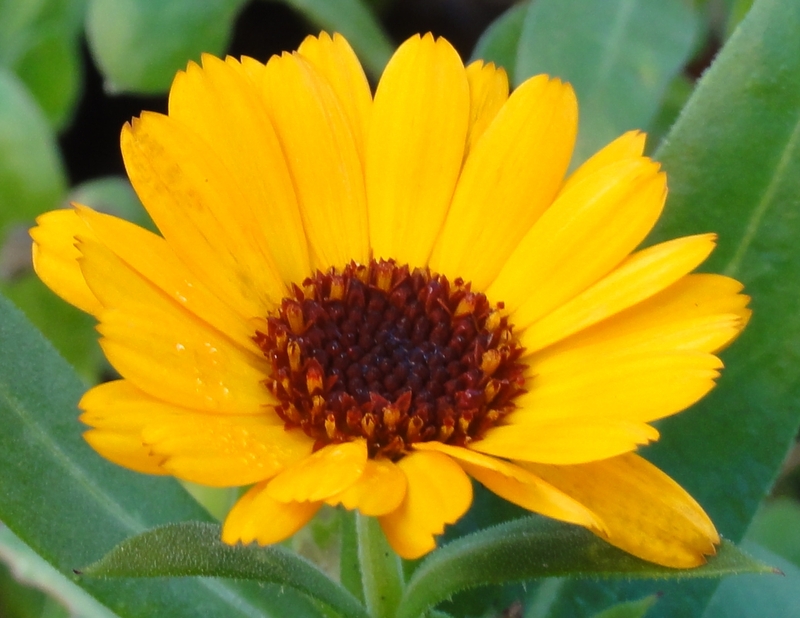 I've picked many bunches of flowers for myself and friends. Most importantly, I've enjoyed the space and how I've interacted with it. It's productive both as a food space, an attractive space, a wildlife space, and as a social space. Gosh! I never realised that you had such a large front garden and with so much happening inside it. We're big fans of Kale too, as are the slugs.. but with some small effort - we will win and the Kale as yousaid, comes into its own as the slugs are dying back. Such beautiful green leaves, full of taste and so much goodness. 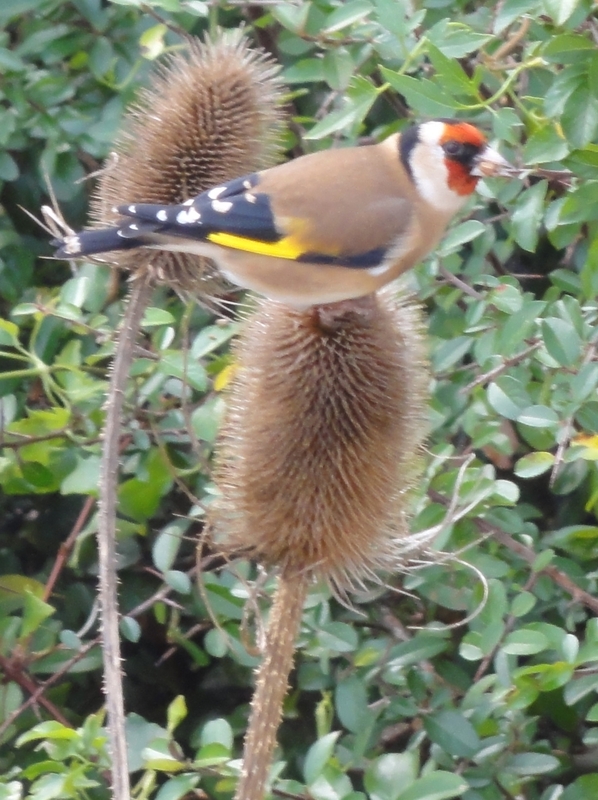 Love the Goldfinch - if not for the Butterflies and Bees, a great reason alone, for keeping some Teasel in the garden or in a small patch at back of the allotment. You've achieved more than most of us could ever hope to do. Beautiful.